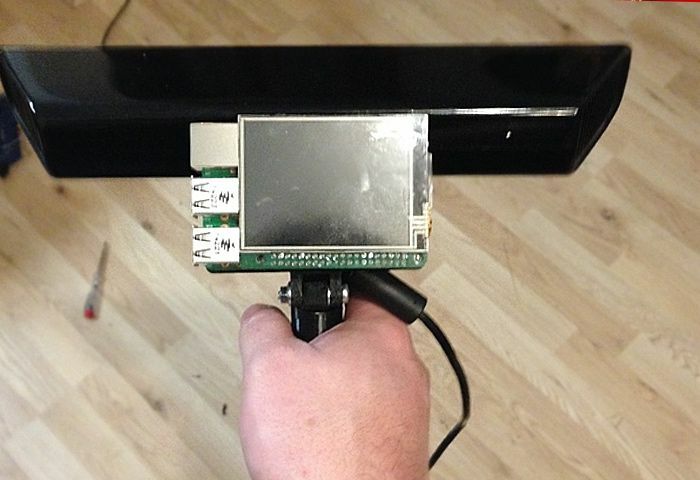 A proof of concept prototype handheld 3D scanner has been created by Mario Lukas, using a Microsoft Xbox Kinect motion sensor and the small single board Raspberry Pi mini PC. The Raspberry Pi powered 3D scanner is still currently in its very early stages of development but provides an insight into what can be created using the technology that is available to makers, hobbyists and garage developers. I am working on a proof of concept standalone mobile 3D Scanner. Hopefully it will be possible to use a Raspberry Pi2 for this project. I have already posted a video on youtube. And some people asked for short instructions on how to run the Kinect on the Raspberry Pi2. First i printed and modified a Kinect handle i found at Thingiverse. I remixed this handle and added a Raspberry Pi2 and a display mount to it. For details on how to build your very own Raspberry Pi 3D scanner jump over to the Mario Lukas website for full instructions as well as a list of all the components you will require to build your own. For more details on Raspberry Pi displays and HATS jump over to our essential guide.